Last month, the non-profit organisation Worldreader held a video contest. The first price was a trip, but instead of the five star hotel one would expect for a price, Worldreader took the winner to Ghana to do some volunteering work. Contesters were asked to submit a video that answered the question “Why do you want to help Worldreader bring ‘Books to All’ to the developing world?” This was great PR for the NGO, which has found much praise lately for its work of using e-readers to teach literacy in the developing world. While we take our access to technologies for granted, it is easy to forget that we are part of the mere 25% of the world’s population who have a wonderland of information at their fingertips – access to the internet. Mobile network connections, health data collection software, things that are such a vital part of our lives that they have started to seem trivial, are missing in the developing world as huge steps towards the end of extreme poverty. Few NGOs, such as Worldreader, have started to use new technologies to tackle global development and humanitarian challenges. 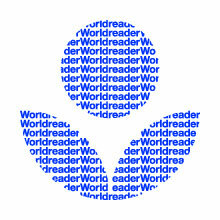 Worldreader aims to “put a library of books within reach of every family on the planet”, so the organisation decisively writes on its website. The idea itself has nothing to do with technology: books have been the basis for education for thousands of years, the information source that has been driving the human race in its development towards what we have accomplished today. Without books to learn from, we would be pretty stuck. At the Orphan Aid Africa school in Ghana, where Worldreader had the first trial of their concept in March 2010, kids were studying without having books available. It’s no new idea that we need books to learn, but it is new to have the technology to access a whole library with one single device not bigger than a paperback. With e-readers, we are reducing the cost and complexity of providing reading material even in the most remote areas. Thus we can teach literacy, increase the level of education and consequently boost a country’s economy through better educated graduates. With the cost of digital content falling quickly, the shipping being a mere fraction of what it would cost to take the same amount of material in books, it seems rather simple. Writers the likes of Cory Doctorow and Daniel Pinkwater are donating their work to make the content available on the donated readers even more diverse. “The world is a better place when people have access to more information. The goal of universal access to all human knowledge is a noble one,” Doctorow says about his involvement with Worldreader. Noble it is, but is it realistic too? The challenges of this cause can not be underestimated. Although the prices are falling quickly, e-readers are still expensive. They may seem easy to use, but for students who have never had access to a computer it requires time-consuming training to teach them how to use their new gadgets. Yet these are all issues that can be more or less easily dealt with compared to the two biggest challenges: a) you can’t download books without internet access and b) you can’t charge a battery-powered gadget without access to electricity. Trying to fund a solar cell and satellite internet access suddenly take things to a whole new level – and quite a disillusioning one at that. Internet access is a luxury that organisations like the Web Foundation are trying to make a given for everyone, but this is far from being achieved. Instead, it has been mobile technology that has been giving NGOs the chance to provide tools that make a significant difference. The area that has profited most from this little revolution is health care. “Very few technologies have scaled down to even the remotest village in sub-Saharan Africa. Cars haven’t, fridges haven’t, literacy hasn’t. But mobile phones have,” says Joel Selanikio, co-founder of US-based social enterprise DataDyne. He would know: DataDyne’s open-source, mobile data collection tool EpiSurveyor has tackled one of the main weaknesses of healthcare in developing countries. The lack of tools to gather time-sensitive health data quickly and systematically is a disaster when it comes to disease prevention, consultation, diagnosis and treatment. That is why the systematization of the collection of health data has absolutely boomed in the last ten years. Using mobile phones as a database and writing easy-to-use software has helped to fight malaria, diarrhoea (which is, sadly, globally seen still the leading cause of illness and death) and reduced the number of deaths from measles in Africa by 90%. All this just because health workers suddenly have the possibility to access a database of information, without an internet connection, to find out about disease treatment guidelines, essential drug lists and patients’ records within minutes, in remote, resource-poor areas miles away from the next hospital. By using PDAs to transmit and receive data via cellular networks, US-based NGO Satellife connected 175 remote health facilities serving more than 1.5 million people in Uganda to a data collection platform. As the program was brought to scale, the health officers’ knowledge of health care needs increased significantly even in the most remote areas. They aim to improve. Advanced platforms like recently released GATHERdata are being launched, making the aggregation of data speedier, the software easier to use, the analysis more sophisticated. GATHERdata provides digital forms for the collection of relevant data and sends it wirelessly to the district health office and ministry, into one central database. The information collected will immediately be scanned for anomalies. If any are found, the ministry can notify public health officials within seconds by text message – the time saved saves lives. “GATHERdata is made up of ‘best of breed’ software elements and we are constantly evaluating possible tools for incorporation or substitution into the platform. One of the key drivers behind this is trying to make GATHERdata easier for end users to employ in their projects,” Satellife’s Associate Center Director Andrew Sideman tells Spike. Training the end user to use a system has proven to be a challenge in any attempt at imposing new software in development projects. Even the least complex programs are difficult to adapt by health workers or citizens who have often never used a computer or mobile phone before in their life. Making systems simpler means less necessary training, ergo less time and less money spent. Andrew, who has led the development of GATHERdata, found that training was necessary even though the system is virtually the same as a paper-based version. GATHERdata involves built-in business intelligence modules, which are used to automatically send messages to authorities to alert dangerous situations – a vital feature to prevent often occurring pandemics. Software like this can be implemented in many other areas than ‘just’ health care. Like it has been used in Mali, to track school construction projects as part of an education system decentralization program. Or in Liberia, to survey school facilities and assets. Working towards constant improvement, GATHERdata is fully exploiting what java-rosa based forms make possible. What mobile networks in combination with simple Java software have achieved is impressive on its own. Compared to the technologies available to us in the western world it is, of course, ridiculous. How long until we bridge the digital divide in internet usage and use the technology we have to create a connection between all parts of the world, allowing access to the same network of information to everyone? It seems like the obvious next step after the mobile phone wonder. Making e-readers available in schools with the possibility to download books, sending and accessing health data via WiFi, are just two concepts which could make current efforts easier, faster, richer in information. The Web Foundation believes that making certain information available could enable local entrepreneurs to build up businesses relevant to their country, or help farmers trying to grow vegetation in harsh environments. The latter became the Web Alliance for Regreening Africa project, an attempt at growing trees and crops in the desert by spreading the knowledge to do so to thousands of farmers. This knowledge is mostly local. When serious droughts severely damaged farming conditions in many rural communities in West Africa in the 1980s, a number of innovative locals in Burkina Faso, Niger and Mali developed techniques to rehabilitate large areas of degraded land. With this kind of knowledge already existing, it is the sharing of it that comes as a challenge. The project tries to achieve an efficient sharing of ideas by exploiting the available infrastructure of internet cafes in larger towns, mobile phones and radios. Is this the way to use information technology in development work? For now, yes it is. Making good use of the technology already available to share information is the most efficient way to make an impact. It is basically the spreading of knowledge that is successfully fighting some of the developing world’s most urgent challenges. Diseases, fought by aggregating health data. Bad education, fought by providing the invaluable content of books. Hunger, fought by sharing knowledge to grow crops. The key word in this kind of help is ‘sustainable’ – sharing knowledge isn’t charity, it is setting the basis for self-help. NGOs around information technology are certainly working towards using the tools they have in the best possible way. But until the technologies we take for granted have become truly ubiquitous, the divide in information access will stay insurmountable.